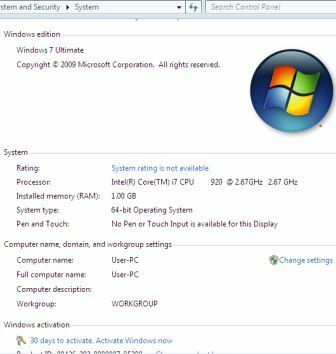 Almost as soon as the news that Windows 7 RTM is build 7600 is leaked, an ISO image of 64-bit (x64) Windows 7 Build 7600 has been leaked. The Chinese leaker apparently chooses to upload the DVD ISO images in 32 parts of 100 MB each. The leaked Windows 7 RTM 64bit ISO .RAR part files are been uploaded to RayFile, a Chinese file hosting service, which requires download of RaySource in order to grab popular files. Anyway, forumers of MDL Windows 7 Forums have managed to re-upload the ISO to various other file sharing services, such as RapidShare, HotFile, MegaUpload and etc. The torrent will download the complete full 64-bit (x64) Windows 7 RTM Build 7600 DVD ISO image. Windows 7 Build 7600.16384 Simplified Chinese x86 with English MUI language pack now available for download. This post will be continuously be updated to include more download links as it available, and also when the availability of BitTorrent torrent file to download the complete full original unmodified and unchanged Windows 7 RTM ISO. Windows 7 RTM Build 7600 no longer able to use Windows 7 Beta product keys or Windows 7 RC product keys to activate. However, it’s possible to rearm Windows 7 for 120 days activation free usage, in which during these period, some kind of properly working and non-franken build activation crack may appear.